Dazed Digital: How did you get into video work? Gabrielle Le Bayon: I would be tempted to say that nothing happens by chance. I have always been interested in the arts, especially cinema. So in a way, year after year I ended up fabricating my own sort of combination between my different artistic affinities. But also it depends what you are calling ‘video work’. Although video is the medium I use, as it is paint for the painter or fabric for the tailor, I actually never know what will be the final form of the project before I set myself onto an idea. I am very much drawn towards fiction and narrative, form and content feed equally one another within the construction of my projects. DD: What media do you prefer to work in? 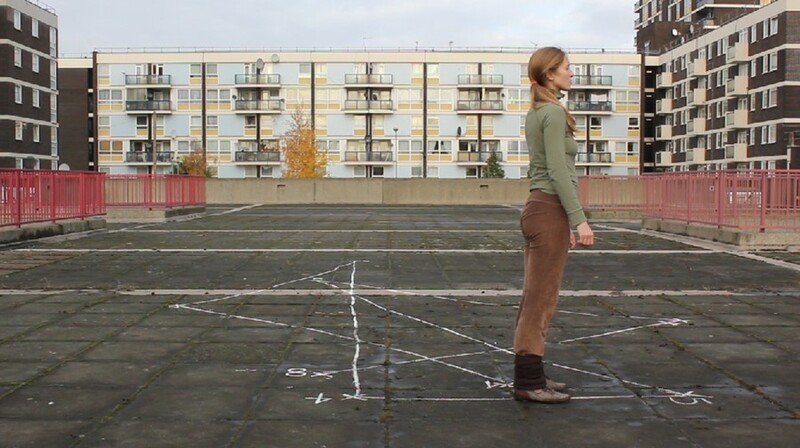 Gabrielle Le Bayon: My practice primarily involves video making, text and performance. I think these are the media I get the most stimulation out of. Video is the platform where the project exists, text is the - open and flexible - structure and performance is the life in it. However I am not excluding any other creative elements, which could be instrumental on a project; it just depends on what I am trying to say with it. It can take the form of a collaboration with someone else, who would be willing to share his or her skills and knowledge about a technique I am not familiar with. Actually I just completed a new video, Image of a City, with Leila Huwiler, who is a dancer. It was a very interesting and challenging experience to work with her. Contemporary dance has always fascinated me and I wondered whether I should and could integrate choreographic elements into my work somehow. It is what I tried to do with this project. It was a way to experiment and improvise with the narrative form in relation to the mise-en scène of the dance performance. DD: What inspires you as a video artist? Do you have any favorite filmmakers? Gabrielle Le Bayon: Information residing in my immediate environment is a source of inspiration. It relates to relationships between specific things and the possibility of finding out a metaphor at the periphery of subject matter. Cinema has always been an important influence…and in my pantheon, there are always John Cassavetes, Werner Herzog, Chantal Akerman, Jean-Luc Godard, Abbas Kiarostami Fritz Lang and Michelangelo Antonioni. However at the moment I really love the films of Keren Cytter, Albert Serra, Jia Zangke, and Philippe Parreno. DD: Do you take any inspiration from any particular place, object, book? Gabrielle Le Bayon: Literature is most of the time - if maybe not every time – my starting point in the research and the making of my work. It is the reflexive nature of literature that attracts me. It creates a bridge between the world of language and the world of images. DD: Could you tell me how you came up with the idea behind Image of a City? Gabrielle Le Bayon: Some elements and people have led the way to what Image of a City is today. I began with filming a series of conversations with friends, which were inspired by a documentary called L’Abécédaire with Gilles Deleuze. Our conversations became a text, which I turned into a sort of script with dialogue, which is the backbone of my project. However as I was working on this text I wasn’t sure what to do with it, I only had a rough idea about what should be the concrete aspect of the video. All I knew at that point was that my video should respond to the thoughts and concerns expressed by people in our conversations. They were criticising cultural politics from the angle of their personal experiences and expressions within a community. It was posing the question of community as a political work of art. DD: How important do you think it is for art to work as a function to expose political and cultural myth? Gabrielle Le Bayon: Perhaps the role of art is to reflect the world we live in. I don’t think it should be used as a conveyor of political messages as such, otherwise it wouldn’t distinguish itself from propaganda. On the contrary it should create a distance with everyday life, an alternative world that challenges reality and creates a space for the spectator. DD: You have quoted Jacques Rancière, ''The question of fiction is first a question regarding the distribution of places." How did you come across this quote? What does it mean to you? Gabrielle Le Bayon: I came across this quote whilst reading Rancière’s The Politics of Aesthetics: The Distribution of the Sensible. I picked on this quote as it echoes my attempt to experiment on fragmented narrative that doesn’t have a direct or a clear resolution. It consists in thinking the fragmentation in fiction so the viewer is free to translate in his own way what he is looking at, with his own feelings and sensitivity and with his own individual translation and story from the fictional elements of the artwork. Fiction operates on the basis of conflict by constructing new relations between different forms of enunciation, scale, rhythm, and reality.